Skoda Vision RS concept revealed – a future hot hatch with hybrid power? Skoda has finally revealed its Vision RS concept prior to the Paris motor show tomorrow. 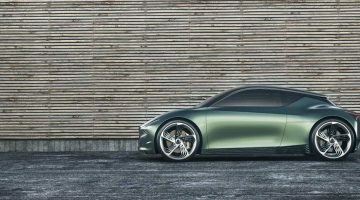 The car has already been previewed in a series of sketches, and now Skoda has revealed images of the actual car, and the petrol-electric hybrid powertrain that will reside beneath its skin. 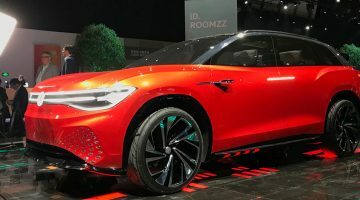 The near-production concept previews a replacement for the Skoda Rapid Spaceback, the eventual production car growing in size to more closely rival traditional C-segment hatchbacks such as the VW Golf. It’ll share much from the Golf under the skin, but rather than running on the VW Group’s widespread MQB platform, it will instead be based on the cheaper MQB A0 platform found under the Polo and Ibiza. This concept is also a look at a potential vRS variant of the next Rapid, although Skoda has not specifically confirmed that it will reach production. For the concept, the Vision RS’ powertrain is made up from a combination of VW’s 1.5-litre ‘EVO’ turbocharged petrol engine and an electric motor, together developing a total system power of 243bhp. The powertrain has been developed for the upcoming hybrid-powered Superb, but this concept might be proof of Skoda’s intention to also use hybridised powertrains in its performance-orientated models. Skoda has also revealed estimated performance figures, quoting a 0-100kph time of 7.1 seconds. 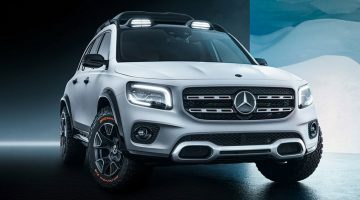 Being a modern hybrid, it also has the ability to drive off electric power alone for around 64 kilometres before the batteries will need a top-up. The styling has taken on Skoda’s current design language, combining razor sharp surfacing with slim, ornate lighting. However, thanks to a huge set of wheels, a prominent front splitter and dark detailing, it is far more aggressive than any of the marque’s models – even the vRS ones. The exaggerated lines and massive rims, typical of a concept car, disguise the car’s size and proportions, but we know it will be 4356mm long, 1810mm wide, 1431mm high and with a wheelbase of 2650mm – that puts it 98mm longer than a Golf, but 333mm shorter than an Octavia Estate. Its relatively short height – 51mm lower than a Golf – quash any rumours that this might hint at another SUV in Skoda’s range. The future of Skoda’s vRS models – was unclear for some time. With only one model in the vRS line-up, there were rumours that it may not continue once the current Octavia goes out of production. However, as Skoda has decided to make a performance version of its Kodiaq SUV and call it a vRS and has now released the Vision RS concept, the future of Skoda performance cars and the vRS badge looks to be strong.